“But I have brought the young guys and given them a chance to race. I have Alex Paton here but that’s because he won it last year and it is nice for him to come back and do the race again. Alex Richardson is sick so I only have five guys here”. 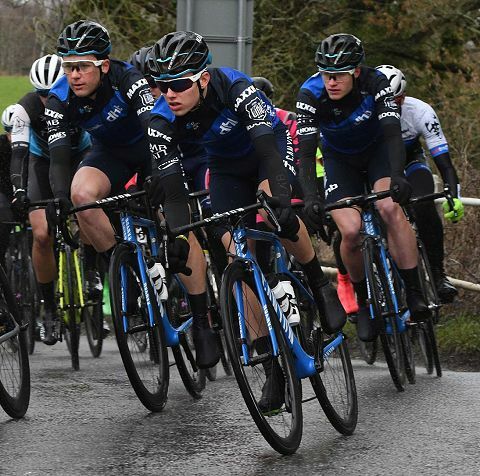 It is worth noting that for UCI teams in a National A, they can substitute riders when one is ill but for a National B, it is down to the commissionaire’s discretion and in this instance, the team were not allowed to make a substitution hence why they only had five riders. Asked how he thinks the season will be without the likes of John Herety’s squad and others who have folded after 2018, Tim replies “I think the season will be harder because there are guys coming from pro conti level and world tour level in the teams here so I think you now have three or four teams that are stronger than they were”. “Tour of Britain qualification will also be priority but we don’t know what the system will be yet. In theory, I think it takes care of itself when you do well in the races so I think we’ll be alright as I’m really happy with the team”.